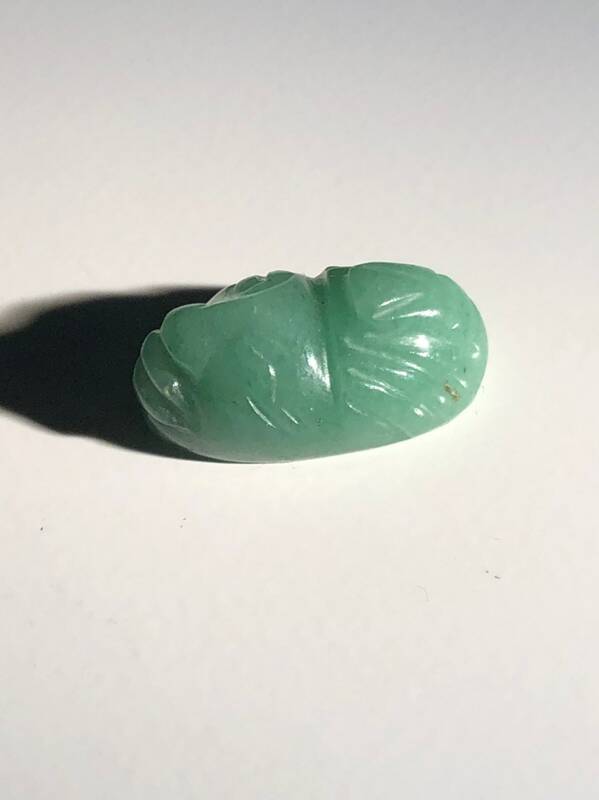 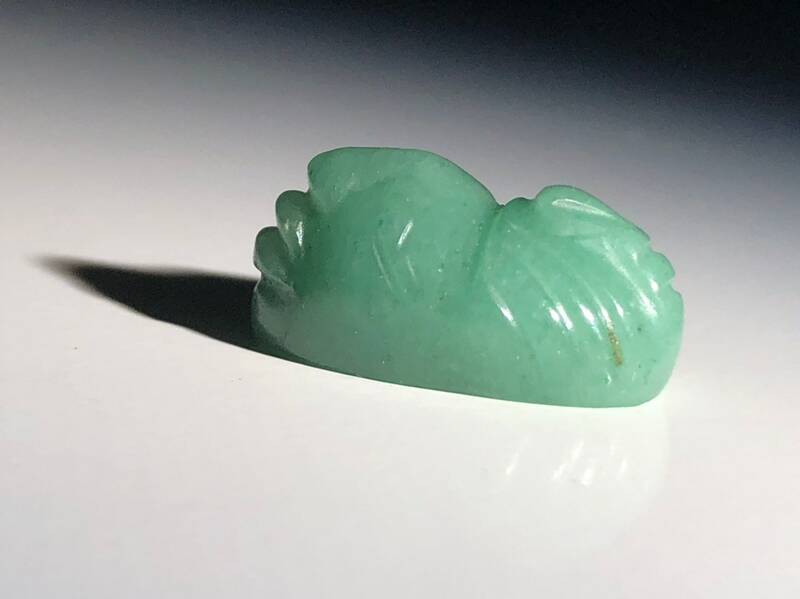 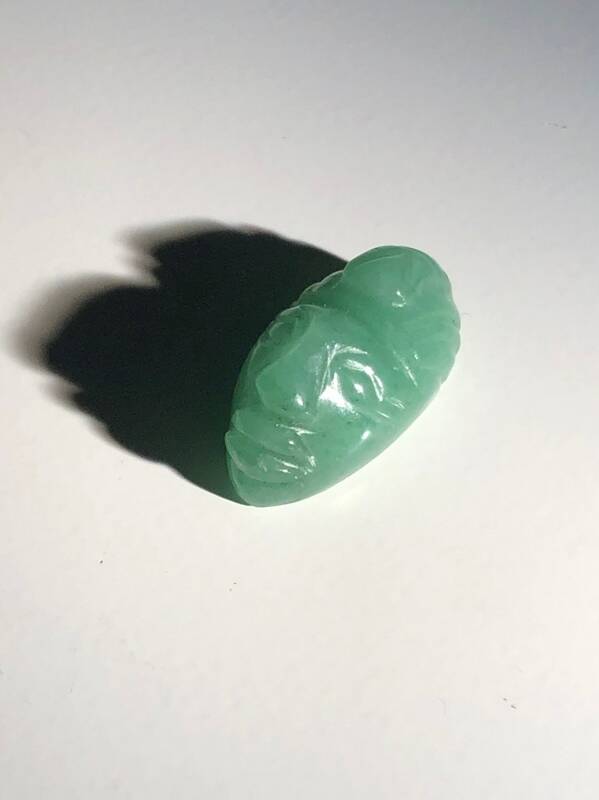 This jade green chrysoprase cabochon is the thing you need if you've lost a carved Mayan face stone from your vintage piece of 1950s Mexican jewelry. 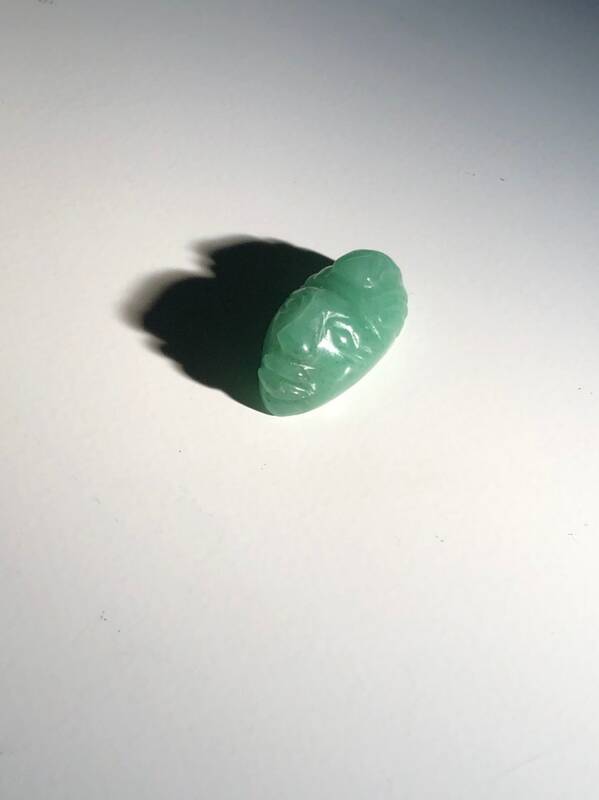 You could also repurpose it into a new gold ring and it would look awesome. 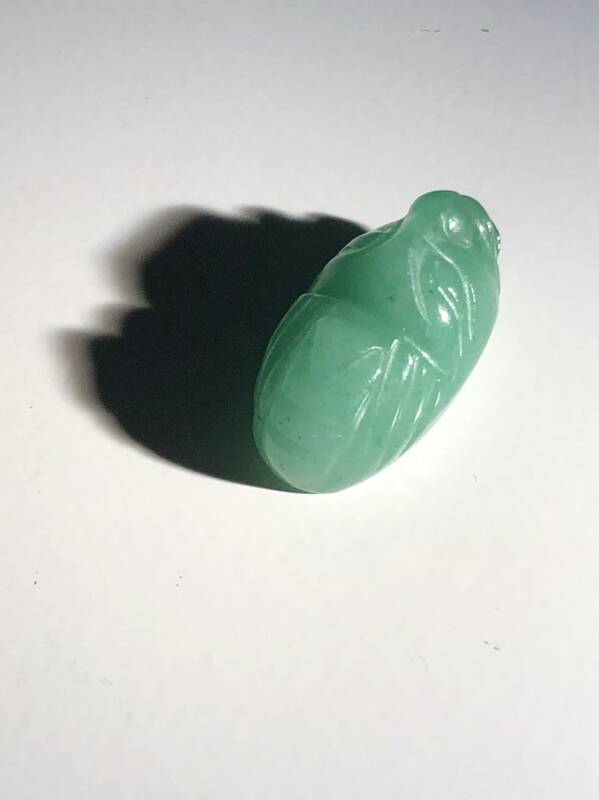 This stone was received in a mixed lot of gemstones from a retired jeweler. 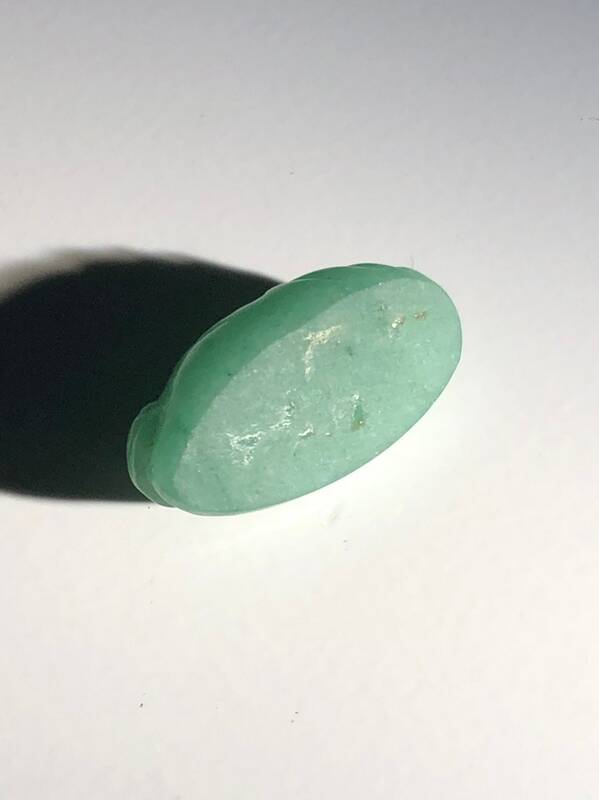 The cabochon is almost looks like jade and is slightly translucent / watery. 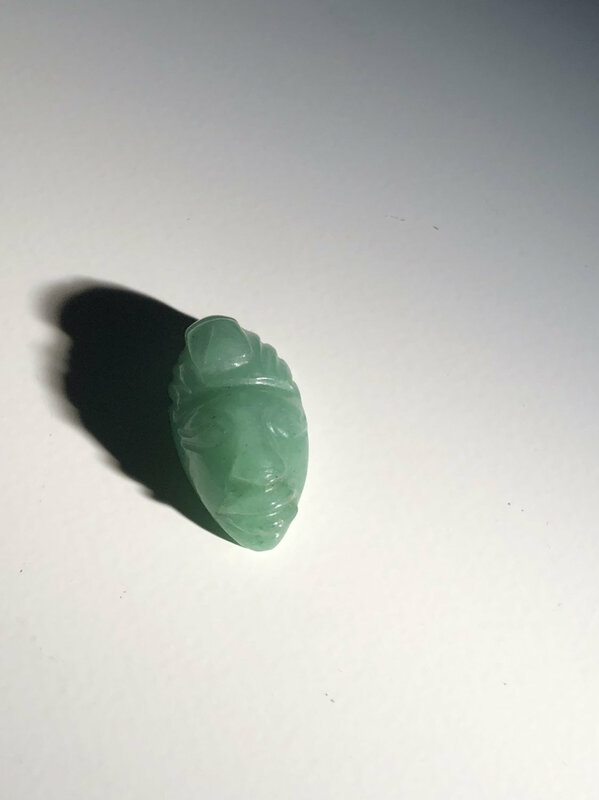 Finish is perfect with very little wear and a more or less mirror finish.